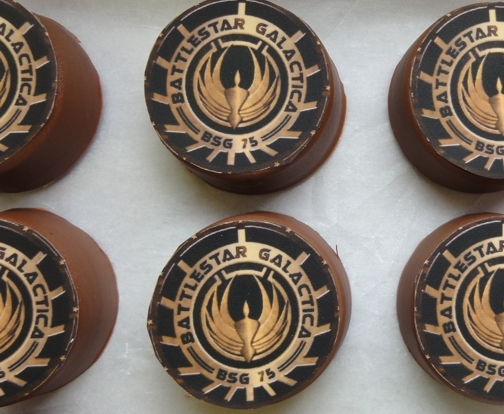 A win for Battlestar Galactica fans and chocolate and Oreo fans! 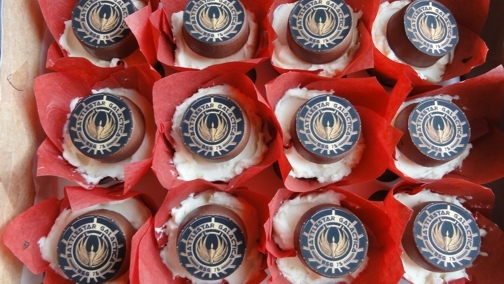 justJENN has made chocolate dipped Oreos with the Battlestar Galactica logo, then turned them into cupcake toppers! I love that Oreos can pretty much go anywhere on a cupcake, and in this case, can be a show of fandom. Visit justJENN to find out how to make your own! From her post: "I used these as toppers for cupcakes because there’s no better gift than dessert upon dessert."